Despite regular brushing and flossing, cavities may still develop. Children are especially prone to developing cavities, often as a result of excessive sugar consumption and poor oral hygiene habits. Fortunately, dental sealants can help prevent cavities and protect dental health. Dental sealants can be combined with other general dentistry treatments to ensure a healthy smile for years to come. To find out if dental sealants are right for you or your family, contact Charlotte dentist Charles Porter. Dental sealants are thin, plastic coatings applied to the molars to prevent cavities and decay. Dental sealants are specifically applied to the chewing surface of the molars, where cavities most commonly form. Dental sealant treatment is painless and can be completed in a single dental visit. Dental sealant treatment is fast and simple. Dental sealant treatment is also well tolerated by children as it is painless and quickly performed. Treatment begins with a thorough cleaning of the teeth. The teeth are then dried and a special solution is applied to the chewing surfaces of the molars. This solution is used to roughen the surface of the teeth to allow for a strong bond between the dental sealants and the teeth. The solution is then rinsed away and the teeth are dried again. Once dry, two coats of sealant will be applied to the teeth and a curing light will be used to harden the sealant. Dental sealants generally last around 10 years and can be replaced as necessary. Protects the teeth from decay: Dental sealants act as a shield guarding the chewing surfaces of the molars. This helps protect the teeth from decay and cavities. Prevents the pain of tooth decay: Tooth decay and cavities can reach the nerves of the teeth, causing shooting pain. Dental sealants help protect the teeth from decay, preventing the pain associated with cavities. Prevents the need for future costly dental treatments: Dental sealants help prevent dental decay which can lead to major dental problems like root canal therapy, dental fillings, and even tooth extraction. Dental sealants protect the teeth from dental decay, reducing the likelihood of future costly dental procedures. Protects dental integrity: Dental decay is damaging to the teeth, weakening the natural structure of the tooth. Even if treated with a dental filling, teeth with cavities are at risk of breaking. Dental sealants help preserve the integrity and strength of the teeth by protecting them from the damage of tooth decay. Dental sealants make an excellent addition to any oral health plan. 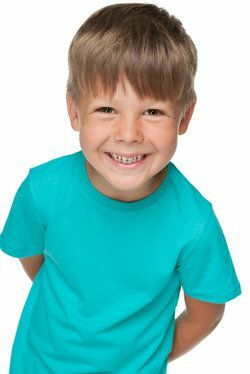 To find out if dental sealants are suitable for you or your children, we invite you to schedule a consultation with Dr. Porter. (704) 364-9000 Call us anytime!